Blog Are you driving with your lights off at night? Are you driving with your lights off at night? Where I live in Southern California, there are long days, good street illumination, and many cars. Perhaps that is why, every single day at dusk, or even what I consider nighttime, I see many drivers about with their lights off. Maybe about one in four. They can see what they want in road but since it represents a threat to others, I will turn my lights off then on to try signal them. I don’t use my high beams, I just turn mine off and then on again, once. 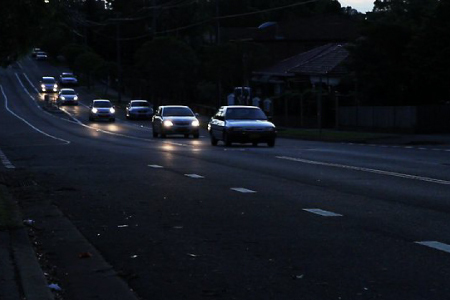 Interestingly, only about one in ten drivers will turn their lights on in response. Probably most of them didn’t even register any message for them and others might wait to turn them on so as not to give me the satisfaction of having modified their behavior. This is a daily reminder of people’s behavior when it comes to aging. Their lives are in motion and their consciousness is turned outward. Just so, people experience life in an active, youthful mindset. But the vehicle of the body might be fading and losing its own internal illumination. A youthful body and spirit are like a car with its lights on. It makes you visible and it makes everything around you brighter. A driver who has lost integration with his or her own environment and is merely preoccupied with what they see and whether it is enough to get them to their next stop may encounter problems that they never saw coming.